This guide contains 219 entries which consist of full-length essays about the major schools, doctrines, strategies, people, controversies and policies of geopolitics, in the main countries concerned. They are cross-referenced and accompanied by over 660 bibliographical citations. 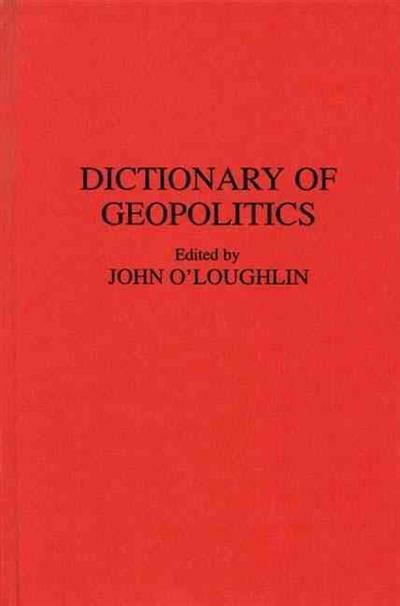 This dictionary aims to span the topic of geopolitics from 1870 to the present, and to provide a picture of how geographic thinking has influenced statecraft and world politics. The editor and contributors set out to explain what lies behind the theories, and widespread use and misuse, of geopolitical doctrines. The 219 entries consist of full-length essays about the major schools, doctrines, strategies, people, controversies and policies of geopolitics, in the main countries concerned. They are cross-referenced and accompanied by over 660 bibliographical citations. John O'Loughlin's most recent books include New Political Geography of Eastern Europe and War and Its Consequences . 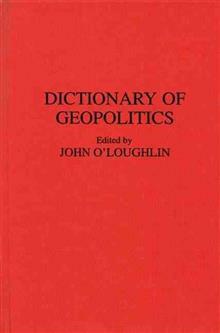 JOHN O'LOUGHLIN, Professor of Geography at the University of Colorado at Boulder, has written at length about political and social geography and the geography of international relations. His recent books include New Political Geography of Eastern Europe (1993), War and Its Consequences (1993), and Foreign Minorities in Continental European Cities (1987).